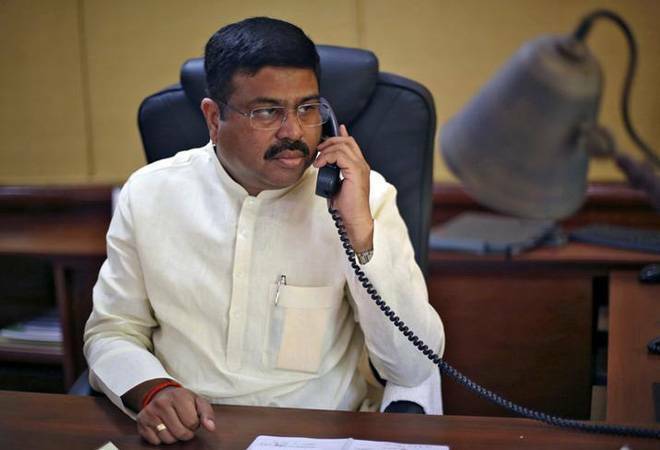 Petroleum and Natural Gas Minister Dharmendra Pradhan on Sunday said around 5,000 Compressed Bio Gas (CBG) plants will be set across the country by 2023. He said these plants meant for extracting biogas from agricultural residue, cattle dung and municipal solid waste will have an estimated annual CBG production of 15 million tonnes. Under the initiative, CBG will be promoted as an alternative under the SATAT initiative launched by the Central government on October 1, 2018. Pradhan said the SATAT initiative aims to produce CBG from agricultural residue. The SATAT initiative aims to boost the availability of more affordable transport fuels, better use of agricultural residue, cattle dung and municipal solid waste besides providing an additional source of revenue to farmers. Pradhan said CBG can be produced from various types of feedstocks such as agriculture residues, press mud and spent wash of distilleries, sewage water, municipal solid waste (MSW), cattle dung and biodegradable fractions of industrial waste. CBG is the replacement of natural gas and can be used in the transportation sector in place of Compressed Natural Gas (CNG). Presently, consumption of natural gas in India is around 140 MMSCMD out of which domestic production is only 70 MMSCMD and remaining 70 MMSCMD is imported which is around 50 per cent of total consumption. The government intends to move towards Gas based economy by increasing the share of natural gas in India's energy basket from present 6-7 per cent to 15 per cent by the year 2022. With the rising demand for natural gas in transport and industrial sector, CBG has been identified as a potential route, he said. Referring to Odisha, the Petroleum minister said the state will have 1,730 km gas pipeline with an investment of Rs 4,500 crore. Out of this 900 km will be for city gas pipeline worth Rs 500 crore. It is estimated that around 500 CBG plants in Odisha may come upon immediate basis. They can supply gas to our PSUs or to local industries. It is added value to the Bargarh 2G Ethanol Plant, being set up by BPCL, he said. Chairman of Indian Oil Corporation Limited (IOCL), Sanjiv Singh said 'SATAT', a transformational initiative in the green energy space, aims to revolutionise transport sector by introducing CBG in this segment. It will help India achieve self-reliance in the energy sector by enabling the country in the drastic reduction of crude imports which currently constitute over 80 per cent of its total energy consumption.